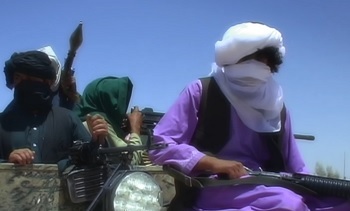 Shazar Shafqat via The Hill: The Taliban only needs to avoid losing in order to remain intact, whereas the U.S. forces need to win every time, all the time. That’s why — despite having scored several tactical level victories in Afghanistan — a strategic level victory has always eluded the United States. That’s why the idea to have direct talks with the Taliban is only going to make the situation murkier. Click here to read more (external link). A TRUE MUSLIM AND, IN FACT, ALL CIVILIZED HUMAN BEINGS WOULD NEVER WISH THAT KIND OF DESTRUCTION ON LIVES OF CHILDREN, MEN AND WOMEN ANY WHERE ON THE FACE OF OUR PLANET- COMMON MAN ! ALREADY TRIED THEIR BEST AND KNIW EXACTLY WHAT THEY ARE UP AGAINST;. REASSERT ITSELF GLOBALLY; ESPECIALLY, IN ISLAMIC COUNYRIES.